I graduated from Stanford University and the Sendagaya Japanese Institute in Tokyo, and I’m a member of the Mystery Writers of America,the International Thriller Writers, and Sisters In Crime. I lived in Tokyo for a long time, but these days I don’t have a long term visa <sob!> (why aren’t novelists a super-desirable foreigner category?) so I spend 4-5 months of every year in Tokyo and the rest of the time preserving my tan-challenged pallor in San Francisco. Well, yes, but I’m terrible at reading it. At the beginning of each term in school, we had to answer the question, “What is your goal for this class?” and all my classmates would write things like, “I want to pass the Level One Japanese Language Proficiency Test” or “I want to get a job in a Japanese company” (both of which require you to be able to read at least 2000 diabolically similar kanji characters AIEEEEE.) My answer always was, “I want to go out to eat with six Japanese friends who don’t speak English and be able to actually participate in the conversation after two beers.” Which is HARD, because when there are seven people sitting around a table eating and drinking, with topics ranging from the latest idol scandal to why mixed couples are always foreign men with Japanese women, not the other way around, nobody waits for you to understand, think of an answer, and figure out the right way to say it in Japanese. Nope, like the bullet train, that conversation has left you IN THE DUST, and now they’re talking about where to go climbing next weekend. So yeah, I finally got to where I can jump in and actually say stuff that makes sense. But it was at the expense of spending time memorizing kanji, so sometimes I end up eating really weird stuff on account of misreading the characters for “cod testicles” and such. What was your trick for finding your agent and getting published? But here’s a tale: I sent out query letters to 25 agents for the first manuscript featuring Yumi and Kenji. Twenty didn’t even bother to send a reply-bot saying they got it. Five asked to see the first three chapters. Four of those said, “no thanks.” The last one replied, “I’d like to talk to you on the phone next Saturday.” As you can imagine, I had all but written my Edgar acceptance speech in my mind by the time she rang me that morning. I picked up the phone, and for the next hour, listened to her rip the thing to shreds. FOR AN HOUR. There was nothing she liked about it. NOTHING. Silently weeping (another essential skill for novelists), I took notes. For an hour. At the end, I thanked her. Wrote her a thank you note. And sat there, numb. Then I went back and reread the manuscript, and decided she was 90% right. I threw it out, and started a new one the next day. 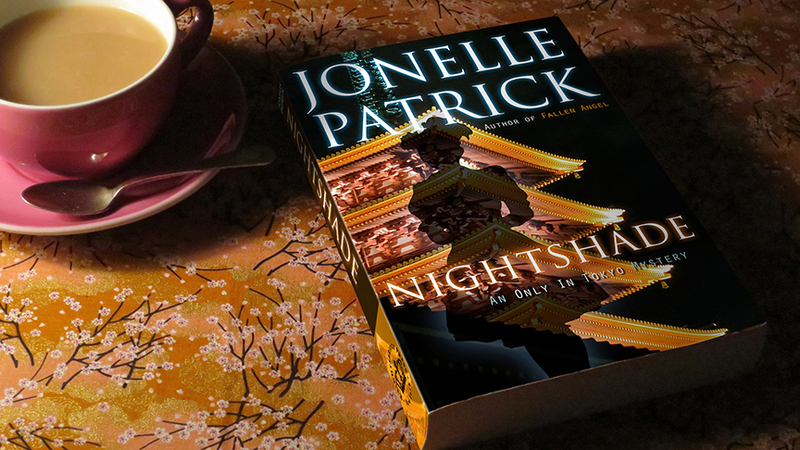 When I sent out the queries for that one, my first choice agent told me she wanted to represent me, Penguin offered me a three-book deal, and that manuscript became Nightshade. But if I hadn’t been schooled in everything I was doing wrong, that never would have happened. To this day, I am grateful to the agent who took the time that Saturday morning to make me feel awful. But enough with the usual questions. What’s YOURS? 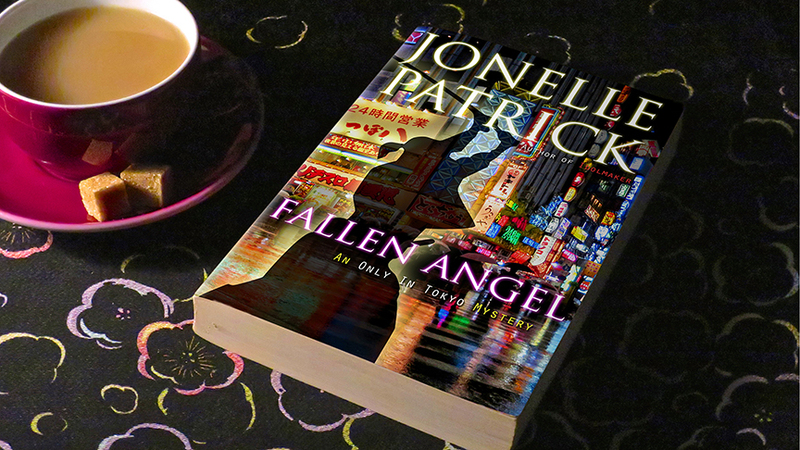 Like all of life, this is a work in progress, so if there’s anything you’d like to know (about me, Japan, or anything in between), head over to my Facebook page (JonellePatrickAuthor) and ask me anything!